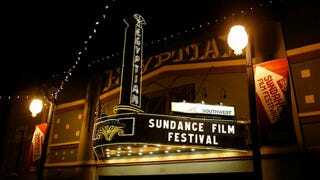 Sundance is where the artsy filmmakers of the world go to show off their excellence and prove that everyone is paying attention to them. But Sundance isn't just about big indie flicks—the best up-and-coming filmmakers are sometimes hiding in the sub-10-minute short film category. It's also where you can see some of the festivals most awesome weirdness. Unfortunately, these shorts hardly ever get any kind of wide commercial distribution. Thank god for the Internet.